THE LIFE-STORY THAT CHANGED HIS WORLD. An endless love for music, for Awake. DJ Goyo grew up in San Jose and was mostly into sports and music as a youth. Shortly after graduating from high school, him and his friend decided to open up a music business together. They got a $5,000 loan from the bank, bought a sound system and some records, then opened up their first DJ business. They signed a contract with the high school they had just graduated from to do all the dances for the school year. If you booked seven dances, you’d get the eighth one for free. La Musique Extraordinaire was off and running!!! Years later, DJ Goyo took over the company and changed its name to Uptempo Productions. After 10 years of spinning records and 100′s of gigs later, he began to feel the urge to learn how to play some musical instruments. He purchased his first bass and joined an African Drumming class. 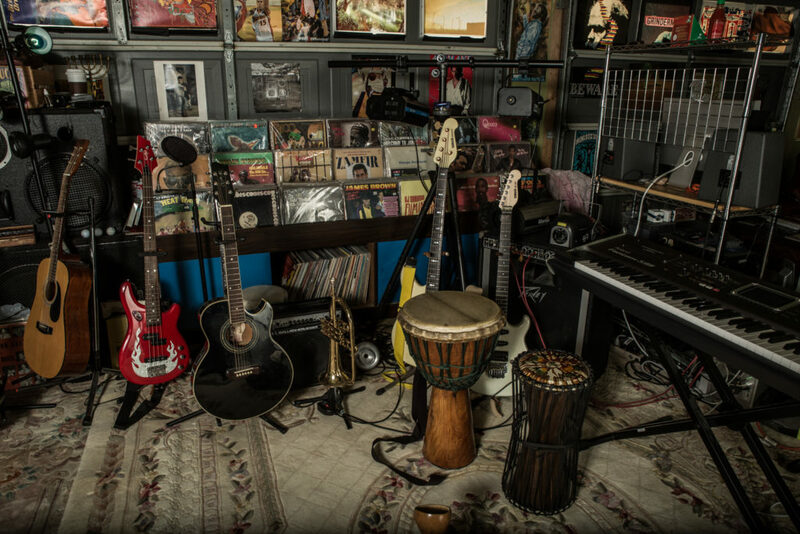 Throughout the years, he collected an array of different drums, guitars and other instruments. The success of his business allowed him to open up his own music studio and begin creating mixes and recording live music. Being hired to do a lot of wedding gigs and wanting to add live music to his DJ events, DJ Goyo achieved his dream of purchasing a stand-up bass. While looking for a partner to play a Jazz duo, he met harpist Eah Herren. Now more than 7 years and over 70 gigs later, it has been a great combo for those who chose to add live music services on top of his DJ hours. It’s great for wedding ceremonies, cocktail hours or simply as background music. 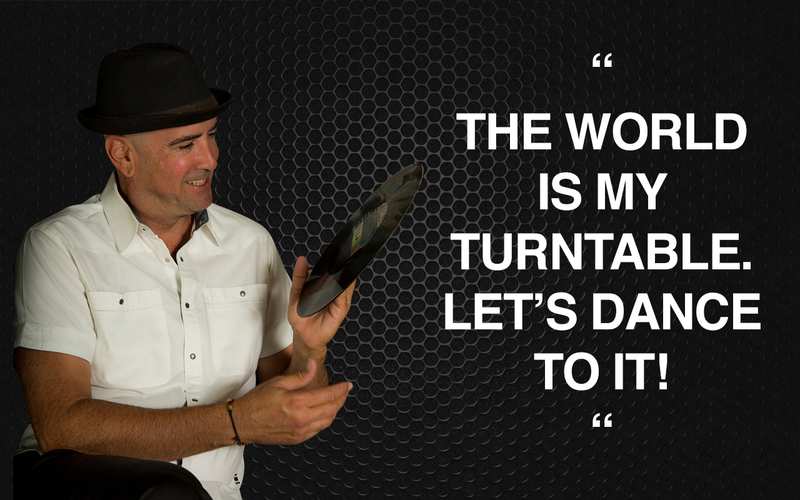 DJ Goyo still collects records from all over the world and plays many instruments. His specialty is to get the crowd moving. He can do any style of music for any type of event, finding the thread between songs to keep the groove flowing. He’s equipped with the latest musical gear which includes a top of the line sound system, digital music files as well as vinyl records, cordless and lavalier microphones, lighting equipment, fog machine, mirror ball, back-up equipment and much more. DJ Goyo’s years of experience proved he’s a reliable, well dressed, on time, resourceful and extremely professional DJ.